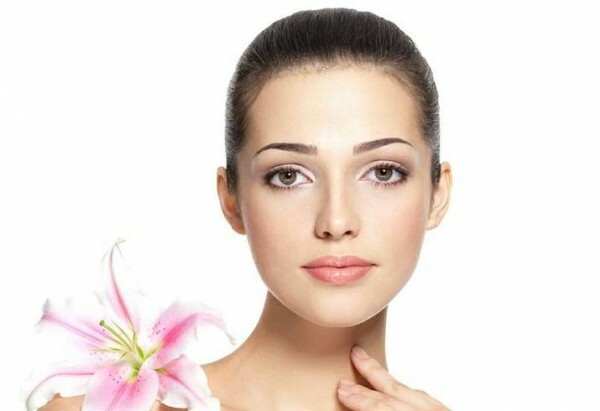 White glowing and Fair skin is a natural desire of everyone. People with dark skin spent a lot of money on commercial creams and lotions but often don't get desired results. However here we have some best natural tips that really work and help a lot to get fair skin even within very small budget. Go with the one that really suits your skin. Regular application will give you an excellent result within few days. Apply milk cream(malai) on your face and neck at least for 20-30 minutes then wash your face and neck with lukewarm water. You will see the difference within one months.This is best for sensitive or dry skin. Prepare a facial mask with mashed banana, 1 tablespoon of honey and 2 tablespoons of sour milk cream. Apply this mixture to your face and neck and allow it to sit for at least 10-15 minutes then clean it with soft and moist cloth and finally wash off with fresh water.This facial mask is recommended specially for sensitive to dry skin. Soak four almonds overnight. In the morning remove their skin and grind them fine and then make a paste by adding one teaspoon of Gram flour(Besan), one teaspoon of milk and half teaspoon of lemon juice. Apply this paste on your face and neck and then gently massage for few minutes. After massage leave it to dry and then rinse off with lukewarm water. A regular massage with this paste will bring Natural Fairness. Make a paste by mixing 1 tablespoon of milk powder, 1 teaspoon honey and half teaspoon of lemon juice. You can also add a few drops of almond oil to make the skin appear thoroughly moisturized. Apply this face pack on your face and neck and leave it for 15-20 minutes and then rinse off with lukewarm water. This face pack naturally polish the skin, removing dead skin and also reduce the tanning effect and give your skin a white glowing look. This face pack is best for normal skin. Take 1 tablespoon of sandalwood powder, one teaspoon of turmeric powder, one teaspoon of lemon juice, one teaspoon milk, half teaspoon almond oil and one egg white. Mix them well and apply on your face and neck for 15-20 minutes and then rinse off with lukewarm water. Regular application will show you best result within few days. This natural tip is best for all types of skin. Take One table spoon of carrot juice, one tablespoon of tomato juice, one table spoon of lemon juice. Mix them well and apply on your face and neck to get a fair complexion. This Tip is equally well both for oily and dry skin. 15-20 minutes and then rinsed off. This mask is effective in lightening skin blemishes and spots as well. Besides skin whitening this mask also helps to remove blackheads when massaged on the affected areas in circular motion. Mix one tablespoon of lemon juice with one tablespoon of rose water and one tablespoon of pure clay to form a thick paste. Apply this paste on your wet face and leave for 15-20 minutes or until it dries up. Finally rinse off with fresh water. This home remedy is very effective specially for oily skin. If you have dry skin don't forget to apply a good moisturizer after removing this mask. Take 1 tablespoon of Barley flour, 1 tablespoon of lemon juice and 1 tablespoon of rose water. Apply this paste on your clean and damp face and neck and keep it until dry and wash with cold water. This pack is also very effective to get fair complexion. Cucumber and Lemon juice is also considered very effective for whitening treatment. Take equal parts of Cucumber and lemon juice, mix them well and apply it on the face and neck. Rinse it off after 15 minutes.